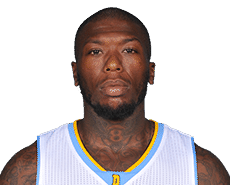 Guard Nate Robinson sat out Wednesday’s game at New York with a sore left knee, his second 10-day contract expires today (Thursday) and he will not be re-signed just yet because of the injury, a league spokesman said. The spokesman said the Clippers will see how Robinson’s knee is recovering before making a decision on whether to bring him back for the rest of the season. Robinson averaged 5.1 points and 2.2 assists in nine games for the Clippers. He shot just 33.3 percent from the field while averaging 14 minutes per game. This entry was posted in Results and tagged Los Angeles Clippers, Nate Robinson by Robert Morales. Bookmark the permalink.